Skimo boots are taking a jump-turn for the better! The La Sportiva Sytron is the epitome of next-generation race-weight boots, capable of much more than previous iterations. The svelte kickers offer improved ski-performance and durability versus the Syborg. This includes a beefed-up gaiter and a ski/walk mechanism that flips up completely to avoid getting snagged when booting. The liner has been upgraded and the lower shell has a burlier and more-effective Spider-buckle to lock your foot in place. The soles remain awesome and there is a scant weight penalty for all the new joys. The Sportiva Sytron is an affordable, ultralight ski boot worthy of racing or taking on bigger objectives. CavoBike Lever Pro system emphasizes fast, simple transitions. 75° of articulation exceeds the capabilities of the human ankle. improved gaiter warmly invites imagination while accessing lines. Grip Guard soles ensure embarrassment-free walks to the start line. Carbon-reinforced Grilamid cuffs enable maximum power transfer. Spider Buckle EVO secures the lower shell around your forefoot. Optional power strap increases responsiveness for bigger lines. Four forward lean options offer a personalized skiing experience. Sytron Liner uses elastic webbing to comfortably wrap your foot. S4 toe inserts help guide the boot into a tech toe, but also allow hands free step-in capabilities with the Ski Trab Gara bindings. Sportiva heel-pocket ensures a precise fit and blister-free day. Includes flexible plugs to prevent snow-entry near the Achilles. Is the sytron heavier or lighter than the syborg? The sportiva site lists the sytron at 800g in a 27, but skimo has it at 900+? Hey Jordan, I just grabbed size 27 and 27.5 Sytron and put them both on the scale, and it seems our specs are accurate for both of those sizes! I don’t have that size Syborg in inventory to compare, but our specs should accurate for the Syborg as well. I have tried on the F1 and the Fischer Travers Carbon 26.5, which both fit OK (may need a little work here and there, but should be fine). I have not skied in any of them. 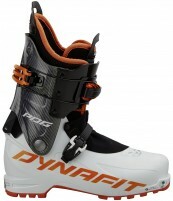 How does this boot compare in fit, skiability, and usage? Warmth? Ability to change liners? For reference, I have a Scott Cosmos II (white) and am looking for a lighter boot for days more tilted to touring over distance than steep or deep. The Sytron more closely matches the Travers Carbon in weight and performance. They both have a 100 mm last and fit should be pretty comparable. Warmth is pretty subjective. What i can say is the Travers Carbon is a favorite around here and I think would make a nice compliment to your Cosmos. Hi MAD. Eh, I wouldn't say it's more or less durable, but I don't think it's necessarily apples to apples either. The cord on the Alien RS is durable, but it's a wear item and should be thought of as such. They're very durable, but over time you have to replace them. Kinda like car tires. If durability could be quantified by the frequency with which failures happen unexpectedly in the field, the Sytron and Alien RS seem to be very close to one another in that regard. That being said, the Sytron has almost no wear items and the Alien RS does. The wear items on the Alien RS are relatively cheap to replace, they give you an enormous window to replace them, and are pretty transparent with how they're doing in terms of wear and tear. Apples to oranges maybe? Er, Alien RS's to Sytrons I guess? I'm trying to choose between 26.5 and 27. I never used AT boots before. And I'm going to use them more in expedition style backcountry skiing, like on Yukon or in Greenland. So, feeling comfortable and warm for multi-day trips is important. My Alpina Alaska NNN-BC boots are US 8.5 - 42. So, maybe 27 is a safer bet for Sytron? What do you think? Hi Vladimir, there is negligible difference between the 26.5 and 27, it is the same plastic shell. You'd likely have a performance ski fit in the 26.0 (a smaller shell), but going a size up might be OK for your usage, especially with a thicker liner. How does the cuff height compare with the Alien RS or first gen Atomic Backland Carbons? I've had the RS for a few weeks now and I'm not sure I'm digging the slacker forward lean angle. I've bumping them from the stock 9 degrees to their max of 13, which helped but I think its still less than what I'm used to and is taking away from the ability to utilize the higher cuff . 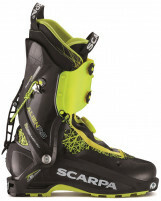 Anyone know why Scarpa would put a max forward lean of 13 degrees on the RS when both race boots as well as more performance oriented downhill boots (like their of F1) have max angles in high teens and low 20s? Hey Martin! Cuff height on the Sytron and Backland is a touch shorter in the front and the back than the Alien RS actually (by about 1cm). I have a few theories as to why they made the forward lean the way they did but I definitely can't speak confidently about the design intricacies with any sort of authority. You're definitely not alone in the forward lean discussion on that boot though. So far I am really liking these boots, with a few caveats. Liners: the liners are far better than the Syborg liners. I really like the elastic over the forefoot. With the Syborg boots I used the liner from the Spitfire. The one caveat is that the boots are much more tight to get on, and I doubt the liners I used to use would fit inside easily. Width: Though these claim to have the same width as the Syborg, they feel wider. I needed to punch my Syborg boots in 3 places, so far with about 5 days on these I feel no such pressure. Volume: These feel lower volume than the Syborg. They are a bit more difficult to get on, I think due to the new forefoot buckle which is more difficult to move out of the way. Speaking of the forefoot buckle, I am at the loosest it can go and it works, but I would really rather have a little more wiggle room. The wire for the forefoot buckle doesn't appear to be user replaceable so I may just have to live with it. I do like the fact that it is a 2 stage buckle, so you can loosen it up quickly for the up and then tighten half a step for the down. I would likely just leave in the looser position for racing, but for ski mountaineering and touring I would use the functionality. Mode change: The new metal mode change buckle is far better, as is the fact that the vertebrae flips all the way up. So far it is a very smooth and fast transition. I have not used crampons with the boots yet. Gaiter: The gaiters seem to be more durable than the plastic used on the forefoot of the Syborg. However since it is permanent with no zipper like on the Syborg it can be difficult to get my foot with high arch in the boot. Also if I put the liner on first(like the alien 1.0) and try to slip my foot+liner into the boot, the gaiter gets pinched in the rear and I feel I'm wearing it prematurely. I do like the idea of a more waterproof ski boot for spring ski mountaineering and long days in deep snow. Overall I am very happy with these boots. They are a significant improvement over the Syborg in every way I can think of. Do you guys think it would be possible to remove cable that connects the walk lever to the upper buckle, and still leave the boot capable? Or, barring that, is it possible to have the upper cuff reasonably tight, while still having the ski in walk mode? Hey Eric! I think that has a lot of potential to work, however it'll definitely take some refining to take it from a fun science project to a fully functioning ski boot. One less permanent option could be to just wrap a ski strap around the cuff while it's in ski mode. Or just wrap the strings really tight. Anyone know what the last width is? Hey Tim. 100.4mm, same as the Syborg, though it does feel a touch narrower than the Syborg. Hi Joth, we can do even better! We have an online boot fitter that you can use to help find a shell that matches your foot. Just let us know how the Maestrale and Cosmos fit your foot. Hi, do these fit true to size? e.g. 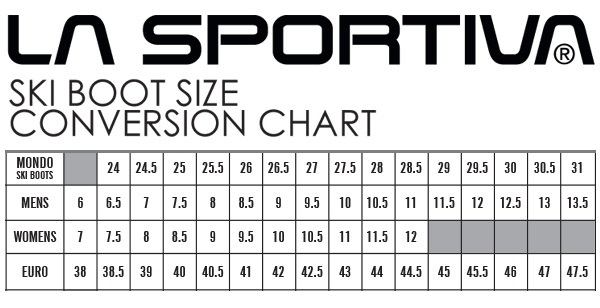 for a performance fit, with a 27cm foot do you recommend size 27 in the sytron? Hi Joth, it could work, but it might take some work, if that works. Length is only one part of the equation; I would be ready to try both the 27 and 27.5. Any idea how the overall volume and fit compare to the upcoming Scarpa Alien RS? I need whichever boot is narrower and lower-volume, or as close to what people with normal feet would describe as painfully tight. My current boot is the original La Sportiva Spitfire, which has a low instep and reasonably narrow last. Thanks. Hey Jim! The Alien RS fits narrower than the F1 throughout (just in case you have tried that on in the past), has a pointier toe box, and similar volume over the instep. The Sytron is a touch wider in the forefoot but still lower in volume over the instep than the Alien RS. The toe box in the Sytron also feels a bit more squared off than the Alien RS. Hey Mark! Yeah, the snow has been going really quick the past two or three weeks unfortunately. It was a killer season though. The Sytron is designed to be the the Syborg's successor and it skis with the same intention, only revamped a little bit to accommodate where the sport is going. The Syborg is a skimo race boot that skis way harder than its weight would suggest and has been used far more outside of race courses than it has been used in race courses, but it's still just a really well thought out race boot. The Sytron is basically the revamped Syborg and it's redesigned to be a bit stiffer. If the Sytron skis better than the Syborg then I'll take two. I skied the Syborg 100+ days this season and the climbing/skiing performance is unreal, if this is better then it'll blow my mind. I'd place the TLT6 and Procline in a different weight and power category than the Sytron and Alien RS, so it's not entirely a fair comparison as far as uphill/downhill performance. 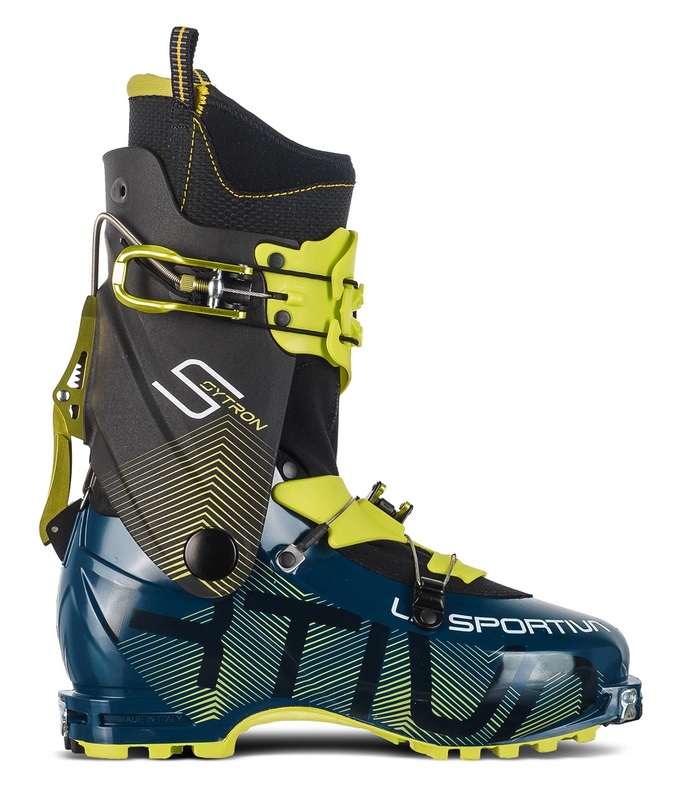 The RS and Sytron are what I like to call "Race Plus" boots, meaning they're designed on the same platform as a race boot, but it has a few extra features that enable it to be skied REALLY hard. It'll offer slightly more protection from the elements and a bit more warmth, but it still maintains the same lightweight and agile walking capabilities as a full-blown race boot. I haven't skied the Alien RS yet, but a few guys from the shop have and they all rave about it...it's spearheading a new generation of high speed ski touring and mountaineering. The Sytron operates under a similar mantra as the Alien RS (a lightweight race boot, but with some more features that make it more "real world friendly"). I'm eager to get in both of them, they're both key players in the new "Race Plus" category that the ski mountaineering and light 'n fast touring market will be seeing shortly. Stay tuned for more info, we'll be seeing them shortly!